A panel from an issue of Department 13. The paint job has been made silver and toned down a bit from the original concept art to match the theme of the character riding it. 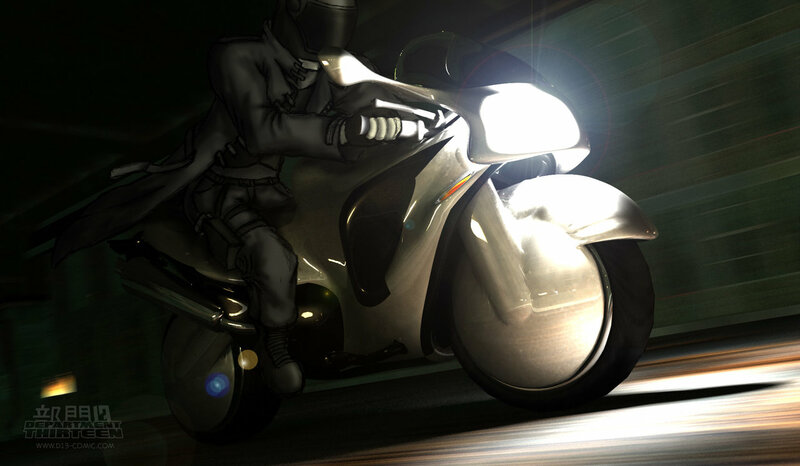 The medium, as with the comics, is 3DS max for the background and bike, mechanical pencil for the character lines, and Photoshop for the character colors and composition.